Get a clean shave without cleaning out your wallet. 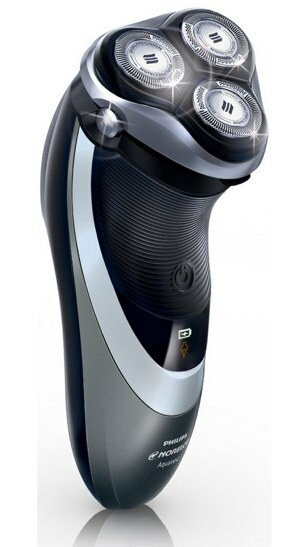 The Philips Norelco AT830 electric rotary shaver does smooth work for the man on a budget. Top-of-the-line electric shavers for men commonly cost upwards of $200, even as much as $500, yet compromising on price doesn’t have to mean courting disappointment. When choosing an electric shaver, the first choice you’ll need to make is between two very different kinds of electric shavers: foil and rotary. Foil shavers have blades that sit beneath a curved metal cover with a pattern of holes (the foil) to capture hairs for cutting. Rotary shavers have blades that sit beneath round, hole-covered heads that spin to capture and cut hairs. In our experience, foil shavers are more effective at clearing a thick beard than comparably-priced rotary shavers. In the arena of rotary shavers costing less than $100, we prefer the Philips Norelco AT830 PowerTouch with Aquatec, a step-up model that also features a pivoting head and offers both wet and dry shaves. We found the 830 equaled the performance of the SensoTouch 3D, a much more expensive model from Norelco. However, it is still a notch below what a good foil shaver can do.